Advantages of legal representation in a personal injury case – Law Offices of Andrew J. Schultz, P.C. Whenever you have a personal injury case you are generally dealing with an insurance company who is part of a large corporation whose representatives’ job is to keep claim payments to a minimum. I know this to be a fact as I worked in claims management many years before becoming a lawyer and I certainly understand how insurance companies operate and behave in their handling of claims. Whenever you have a loss, insurance companies are required to reserve a certain amount of money aside to pay your claim for what they estimate you claim will cost. I can tell you from experience a Plaintiff represented by qualified legal counsel will have higher reserves set on their case and ultimately be paid more by than a non-represented individual. 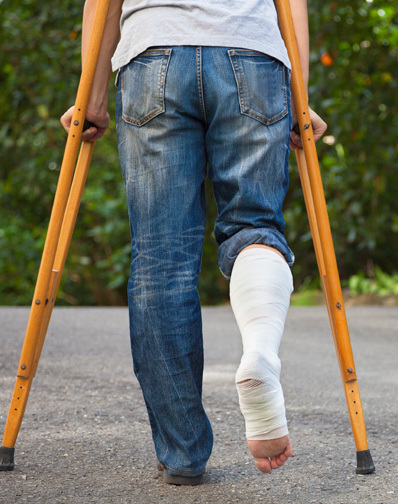 Insurance companies will often tell injured persons not to seek a lawyer as they will have to pay a lawyer a percentage of any recovery and that they will be treated fairly by the insurance company. I can tell you from experience that a good lawyer will get their client a much better recovery even after deducting the lawyer’s attorney fee than the client would obtain representing themselves. Additionally in most personal injury cases the attorney fee is contingent upon your monetary recovery which means you can retain the attorney with zero up front attorney fee cost. At the Law Offices of Andrew J. Schultz P.C. we strive to provide nothing but top quality legal service to our clients and are well versed in the courts of Massachusetts and New Hampshire in achieving such results.